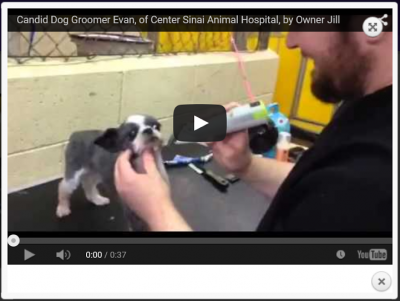 This video was shot and sent to us by our enthusiastic pet parent Jill. Thanks for sharing, Jill! We love seeing your handsome doggie going through the grooming process with our talented groomer Evan, and coming out even more handsome…Click the link to find out about our grooming special. Jill gave us five stars!